Amid reports of an imminent war, the Philippine Embassy in Riyadh on Wednesday issued an advisory on the current situation in Saudi Arabia. "The Philippine Embassy in Riyadh advises the Filipino community to remain calm," the statement dated February 24 reads. "There is currently no reason to be concerned about the safety and security of Filipinos in Saudi Arabia," it continued. "The Embassy shall provide regular updates on the situation in Saudi Arabia as the need arises," it added. The advisory was issued by the Philippine embassy after reports that "World War 3" is coming circulated online. False warnings and scary fake stories that circulated on social media sites Facebook and Twitter caused alarm among families and relatives of overseas Filipino workers (OFWs) in the region. Several news articles say that Saudi and Turkey are preparing their armed forces for a possible invasion in Syria which is being terrorized by ISIS. 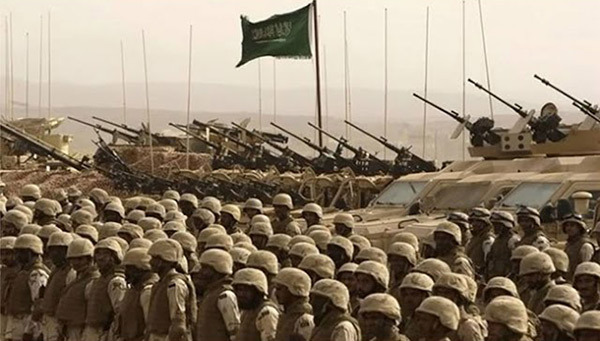 It has been reported that 350,000 soldiers, 20,000 tanks, 2,450 warplanes and 460 military helicopters have been deployed in northern Saudi Arabia for a military exercise called "Northern Thunder."